Really pleased with the filter which certainly helps in our shower as we are in a hard water area. Top Product really makes a different to my showers skin much better. As expected but getting expensive ** Reply from PS ** Thank you for being a long time customer Caroline, our prices haven't changed since 2009! :) Also please make sure you like us on FB and are on our mailing list - we often send out discount vouchers. I still feel that the product and postage is expensive ** Reply from PS ** All overs £29 have free postage. As usual, replacing the filter has improved the quality of the water and strength of the water flow (as previous was already due for replacement). It definitely helps with the poor water quality in Belgium and with the high level of hardness of it here. Excellent no hassle service,quality product. Very satisfied with these filters. The filters definitely remove or at the very least reduce the chlorine in the water as the smell and taste (if you were to taste the shower water) is much improved. We noticed the difference in water quality when the filter had run out. 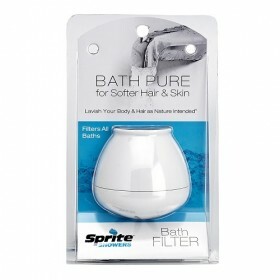 Excellent product; cannot shower without using these filters. Great product - only issue is with our very high chlorine levels we have to replace often. A larger unit would maybe have been a better investment. Easy ordering, fast delivery, Excellent product-easy to install & use. Third order now. Very good product for this family. I have now used one of these filters for a good many years. Would highly recommend them to anyone living in a hard water area. very hard/limescale water where I live. We have been using these filters for several years now and no more dry/flaky/itchy skin. Works for us. 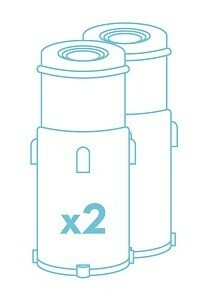 We have found that we have to replace approx every 3 months, so works out around £120/year but worth it. After using the 8 Stage filters for some time now we are more than pleased with the results. Softer water, less dryness on the skin, better drinking water. The filter makes such a difference in my hard water area. very happy. Was unable to book online .. * Reply from PS * Sorry to hear you had trouble with our online store, we're glad we were able to sort out an order for you over email though. Fantastic. Have used one of these filters for years. Really makes a huge difference to the hard water in my area. Prompt delivery. Bought in anticipation of replacing original filters and if as good as them (when changed), will be most pleased. First class service, the filter arrived on time and is working as expected. Fabulous customer service and product very easy to install. 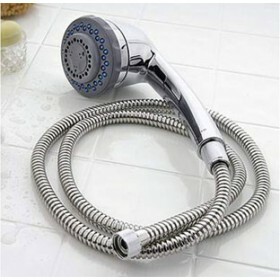 The product is very good as is the service provided by the Company. However, I cannot get the old filters out of the unit so I'm unable to use the new ones. ** Reply from PS Team ** Dear Anne, thank you for your review. Please try spraying a little bit of limescale remover on the side caps. This sometimes helps loosen any residual scale inside the filter. all fine, I think the refills are priced aggressively. As a customer who has come back with a repeat order, I would like to see an incentive. Paul O'Hara **Reply from PS Team ** Thanks for your review Paul! From time to time we do give our customers up to 15% discounts. Please make sure you've joined the mailing list! 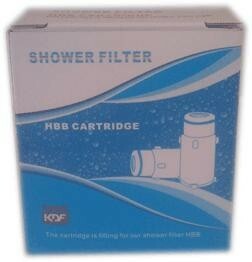 Good product - 8 stage shower filter.. my partner has dry skin and over the last 8 months has noticed considerable improvement.. just looking at ordering the cartridge..thing that annoys me is the shipping charge.. Why do you discount the price from 29.95 to 24.95- show it as £5 discount and then charge £3.50 as shipping charge to make it £28.45 - which works out as £1.50 discount only.. very annoying! 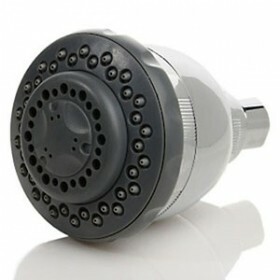 Cartridge and filter are so easy to install and use. The filter really cuts out the chlorine, and that's good news for my skin. Love the filter. Would highly recommend this. Delivery and fitting of a quality product excellent.